Capture your mood and improve your thinking habits through an innovative approach to journaling! Moodnotes empowers you to track your mood over time, avoid common thinking traps, and develop perspectives associated with increased happiness and well-being. 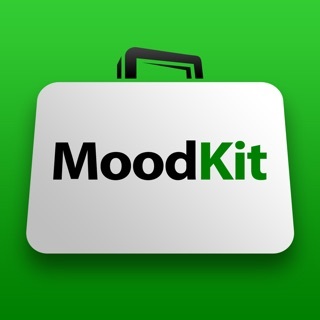 Design experts and clinical psychologists (creators of MoodKit) have collaberated to bring you Moodnotes! This one-of-a-kind app is grounded in the scientifically-supported content of cognitive behavior therapy (CBT) and positive psychology. Includes Apple Watch app and iCloud sync/backup. Exclusively featured by Apple in the App Store Today tab story "All The Feels." One of Tech Insider's "100 World's Greatest Apps" and exclusively featured in Wired, The Guardian, Business Insider, Fast Company, TechCrunch, Lifehacker, Mindful, Mashable, Vogue, and more. Fast Company's 2016 Innovation By Design Awards finalist. Thank you so much for using Moodnotes! We know how important notifications and custom reminders are, and that they were a bit buggy for some users. This update should get you back on track! If you're still having trouble, please email us at support@thriveport.com and we will investigate individual cases. We really value Moodnotes’ low-key approach to promoting positive thinking. Our part is easy: recording how we feel each day. Moodnotes responds with gentle encouragement, posing insightful questions and showing us patterns. It even points out possible thought traps we might’ve fallen into (like overgeneralizing or using emotional reasoning). With its guidance, we have a healthier understanding of what’s on our mind. You see I live in a very complicated city surrounded with much complicated culture that still see mental health as a taboo subject to be highlighted out load, luckily I’ve my friend who lives in a away cities whom advised me against going to see a psychiatrist within the city i live in giving how much of sharing could get me in trouble within the authority in here, I’ve done my research read a few books and i found this app, i said to myself lets just give it a try what would i lose after all this suffering talking to a machine is still a great option at least I won’t get in trouble, I know for sure in many cases of depression and anxiety a CPT techniques might not be enough so if you have the The privilege to see a psychiatrist please go for it while using this app it might help you to recover even more faster, I had to read so much to understand my suffering am glad that many won’t have to given such great ideas still exist within our world brings hope to the depressed community around the world, to the amazing psychologists and developers to the coders whom might never understood what the hell they were coding at the first place, you ladies and gentlemen have saved lives and for mine am and always will be grateful. May the force be with you all. Thank you. Great for people with anxiety! I have Asperger’s Syndrome and I’m very prone to anxiety, and this app allows me to write down how I’m feeling and work out any thinking errors. I think this could be a great app for autistic people who might otherwise have trouble identifying how they feel. It lets you adjust the face on the screen to be sad or happy and pick and choose from various emotion words, and more often than not I’ll find the right word for how I’m feeling. 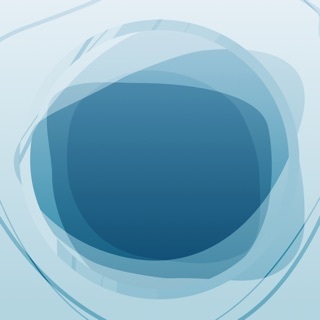 I obviously can’t speak for all autistic people, but in my experience this app is very helpful. Sometimes just writing how I feel helps me to feel better, even if it doesn’t change my situation. I especially like that it allows you to select more than one emotion (which many apps don’t), as well as the intensity of the emotion(s) you’re feeling. And then it lets you write down why you feel that way, and it takes you through some questions and prompts you to thinking about any thinking errors. And then it asks if your emotions have changed and lets you change the intensity of you feel different. Another cool thing is that it doesn’t make you complete every step. If you just don’t feel like it right now, you can just complete some of the steps.